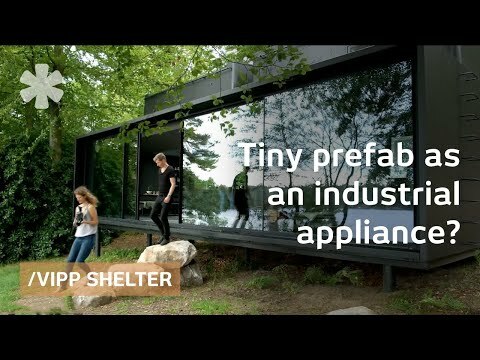 VIPP designer Morten Bo Jensen explains that the shelter wasn’t designed as a piece of architecture, but an industrial object. The prefab structure is built in a factory and the four modules are transported by truck to the site. The shelter can be constructed in 3 to 5 days using just bolts for the modules and 9,000 screws for the steel plates.